A.B. Edward goes to the International Roofing Expo in Las Vegas From left to right, A.B. Edward proprietors Bo Mikuta and also Andy Mogielnicki, along with our outsides professional Martin Kaczmarek on the. Just what is the International Roofing Expo? Well (IRE) is the leading roof building as well as upkeep occasion where roof experts compile to experience in person communication, item networking, education and learning and also evaluation. As a DaVinci Masterpiece Contractor, A.B. Edward has actually had absolutely nothing yet success with these artificial floor tiles. Our their clients enjoy the appearance of them, as well as the A.B. Edward group likes their long-lasting dependability. The remainder of us in the A.B. Edward workplace can not wait to listen to regarding the newest high-end roofing items from DaVinci. Andy and also Martin additionally located our buddies GAF. GAF has actually been with A.B. Edward almost considering that our begin 10 years earlier, and also as GAF Master Elite Roofers we enjoy having the opportunity to invest even more time with them to read about their newest items. GAF roof shingles (as well as significantly changed asphalt) are exceptionally preferred with A.B. Edward their clients, so I'm certain Andy as well as Martin were taking massive notes while seeing that display. You could wager Bo, Andy, as well as Martin were all bearing in mind at every display they saw, however. 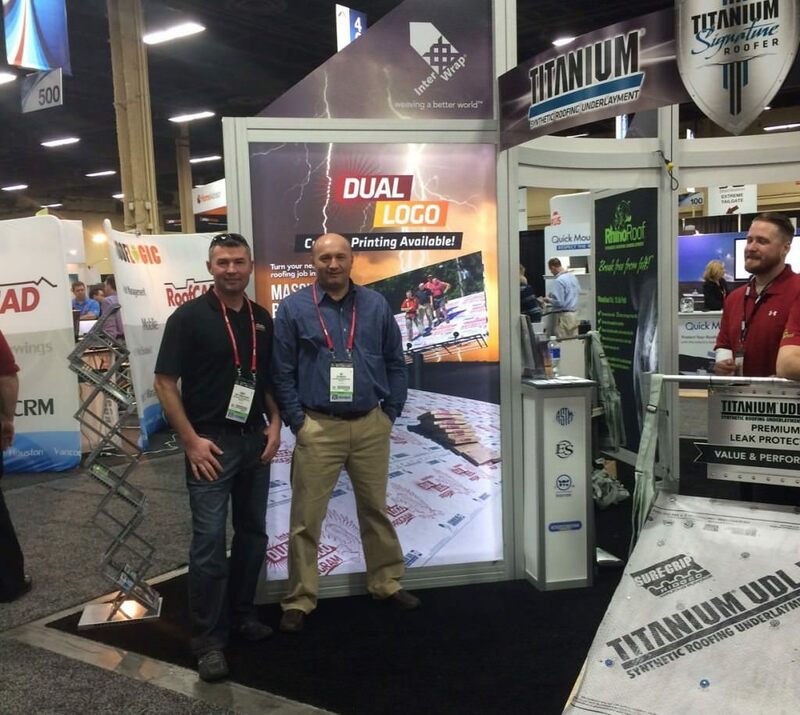 The International Roofing Expo is an extraordinary possibility for we all at A.B. Edward to uncover the most up to date roof covering fads as well as breakthroughs in modern technology many thanks to their brave expedition. It's simply regrettable they need to return to an additional fifty percent foot of snow at the A.B. Edward workplace. Yikes! Because 2003 A.B. Edward Enterprises, Incorporated has actually been offering Chicagoland residents with items and also setups in the roof covering, home siding, home windows as well as gutter systems sector. A.B. Edward has an unblemished A+ Better Business Bureau ranking, an Angie's List Super Service Award Company, as well as likewise supplies leading market leading items such as GAF, James Hardie Siding Products, Pella Windows as well as Doors, DaVinci Roofscapes, Mastic Exterior Siding and also much more. From left to right, A.B. Edward proprietors Bo Mikuta and also Andy Mogielnicki, along with our outsides experienced Martin Kaczmarek on the. GAF has actually been with A.B. Edward virtually considering that our beginning 10 years earlier, and also as GAF Master Elite Roofers we like having the possibility to invest even more time with them to listen to regarding their most current items. GAF tiles (as well as progressively changed asphalt) are unbelievably prominent with A.B. Edward their clients, so I'm certain Andy and also Martin were taking massive notes while seeing that display. Given that 2003 A.B. Edward Enterprises, Incorporated has actually been giving Chicagoland residents with items as well as installments in the roof repair, home siding, home windows and also rain gutters sector. A.B. Edward has an unblemished A+ Better Business Bureau ranking, an Angie's List Super Service Award Company, as well as additionally provides leading sector leading items such as GAF, James Hardie Siding Products, Pella Windows as well as Doors, DaVinci Roofscapes, Mastic Exterior Siding and also much more.